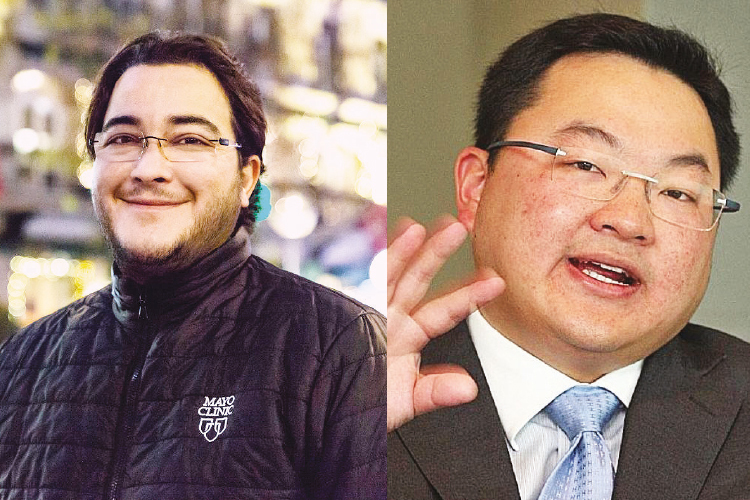 Obaid and Turki were shareholders of Petro Saudi International (PSI), with whom 1MDB lost US$1.8 billion, much of which has been traced to their bank accounts as well as that of Jho Low and another director, Patrick Mahony. Obaid, who also holds a Swiss passport, is very close to Turki, who is one of the sons of the late King Abdullah. The prince’s standing took a hit after the death of his father, who was replaced by current King Salman in 2015. Turki, who was removed as governor of Riyadh, was one of around 200 princes and business leaders aligned to the late king who were arrested under orders from MBS and forced to hand over their assets. The Washington Post article by David Ignatius titled “The Khashoggi Killing had roots in a cutthroat Saudi family feud” highlighted the troubles faced by Turki and Obaid , who is now hiding in Switzerland, and their close ties with Jamal Khashoggi. Khashoggi was editor-in-chief of the Saudi daily Al-Watan. After MBS and his father took power, Khashoggi moved to the US and was a columnist with the Washington Post and a strong critic of MBS. Khashoggi had interviewed Datuk Seri Najib Razak in December 2009, ahead of an official visit to Saudi Arabia to meet King Abdullah in January when he was conferred the King Abdulaziz Order of Merit — the country’s highest civilian award. The interview was arranged by Jho Low and Obaid three months after 1MDB poured US$1 billion into a joint venture with PSI. 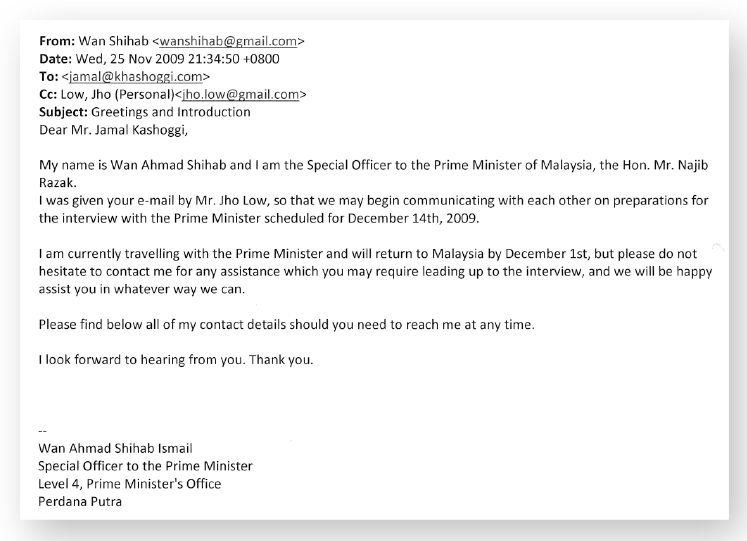 Email correspondence showed that Jho Low had asked a special officer of Najib — Datuk Wan Ahmad Shihab Ismail — to contact Khashoggi to fix a date for the latter to come to Kuala Lumpur (see email dated Nov 25, 2009). The interview was meant to promote Malaysia, Najib and his wife Datin Seri Rosmah Mansor to the people of Saudi Arabia. 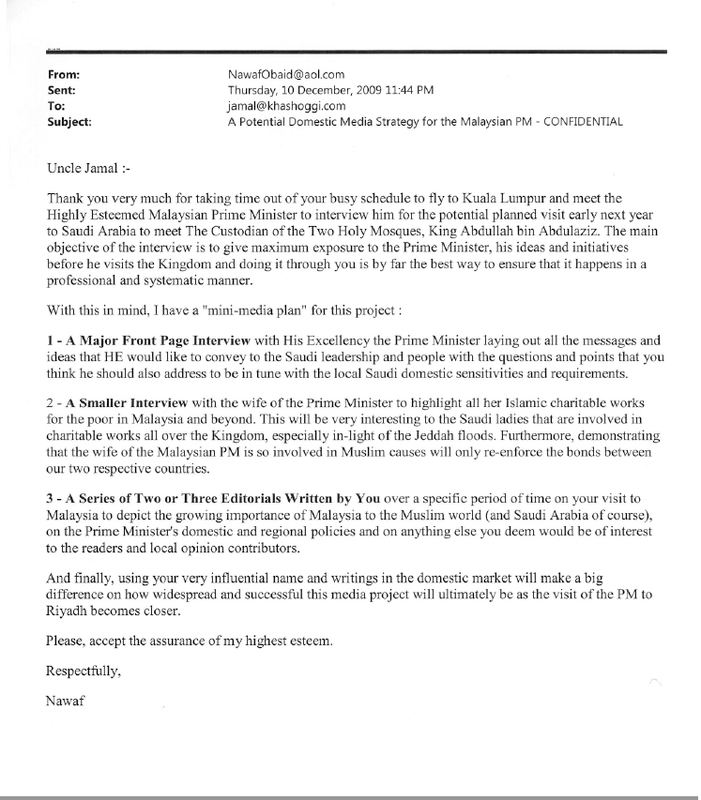 Obaid shared with Jho Low email sent to Khashoggi on what was expected out of the interview (see email dated Dec 8, 2009). Separately, the brother of Obaid, Nawaf, also sent an email to Khashoggi outlining a proposed media plan for the interview (see email dated Dec 10, 2009). An email dated Dec 2, 2009, showed Obaid giving instruction for US$100,000 to be transferred to Khashoggi ahead of the interview (see email). 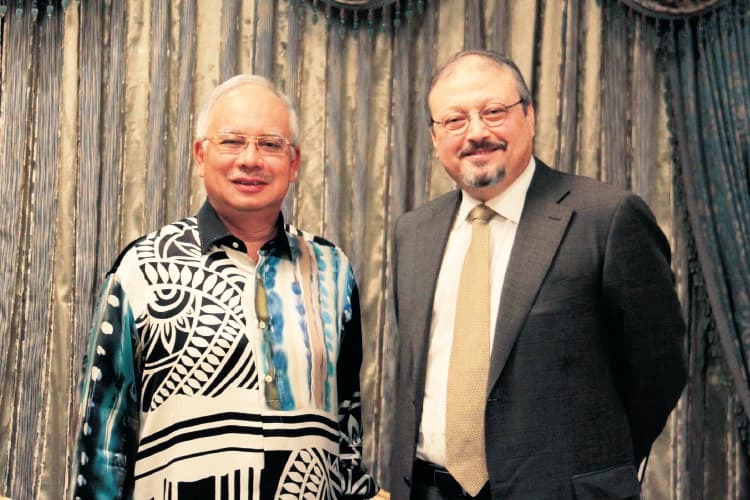 Khashoggi and Najib posed for a photo after the interview which took place on Dec 12, 2009.